Hermit crab sitting in same position for days?? 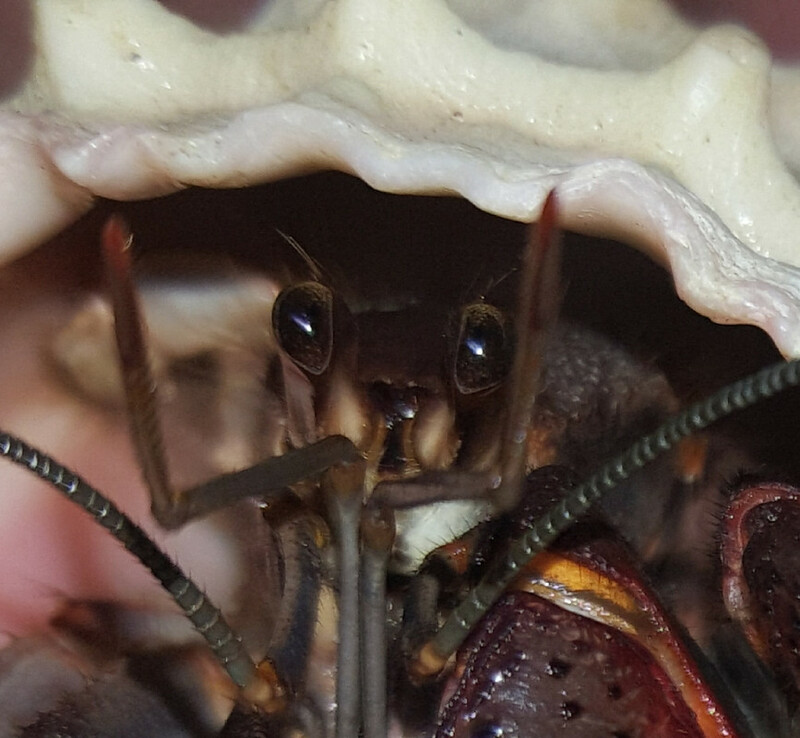 Re: Hermit crab sitting in same position for days?? I have also bought things from Gotbutterflies etsy store as well as Hermies Kitchen. They are both great! My crabs love the Mason jar meals from Hermies Kitchen. This seller has a lot of meat in his foods. Plus Venison! My crabs love his food! I have also purchased from "hugsforhermits" on ebay. She has lots of great food as well and also has bark, oak leaves and powdered spirulina. She took a couple of weeks off for the holidays but should be back anytime. Last edited by sallrw on Sun Jan 06, 2019 9:50 pm, edited 1 time in total. I was really impressed with the stuff from ChollaQueen on Etsy. My guys have been going crazy over the dried earthworms and the fishbone calcium mix. I also like how her stuff all comes in reusable plastic jars instead of plastic bags. I ordered all my stuff in the 4oz jars so they will last us a few months rather than a few weeks. Thank you so much for these options! I’ve been looking through and it’s a bit tricky because I have multiple severe food allergies and often the mixes have one thing I’m allergic to (eg peaches or carrots or apple etc). I’ll keep looking through thank you! Oh Wow! With a lot of the places I'm sure if you contact them and explain your allergies they can make you special batches of food to avoid cross contamination. Maybe even just send you items other than what you are allergic to. Ebay may be out for you since most places sell "batches" of random foods for a set price. Plasmoc wrote: Thank you so much for these options! I’ve been looking through and it’s a bit tricky because I have multiple severe food allergies and often the mixes have one thing I’m allergic to (eg peaches or carrots or apple etc). I’ll keep looking through thank you! PM Lacey (owner at Hermie’s Kitchen) on Etsy and let her know you have allergies and I am sure she will work with you. It’s tricky, my allergies are so severe that cross-contamination from her kitchen is a risk if she has been recently working with foods I’m allergic to. Even airborne or touching my hands is an issue. I’ll PM her to check though, thanks!